"What if he falls?" 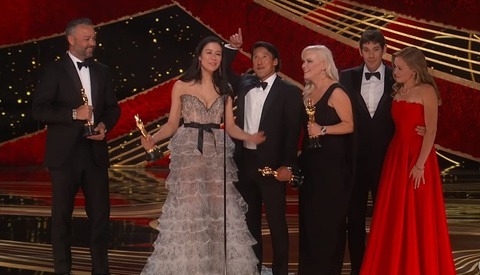 That was the central question faced by filmmakers Elizabeth Chai Vasarhelyi and Jimmy Chin when deciding whether to document Alex Honnold's historic climb of Yosemite National Park's iconic El Capitan. The duo examines their own decision-making process in this recent op-ed published in The New York Times. Honnold is the subject of their recently-released film, "Free Solo," which documents his nearly 3,000-foot climb of El Capitan without the use of safety ropes. The Op-Ed takes on additional relevance to photographers and filmmakers who must weigh the risks of capturing a shot in the wake of the recent deaths of two people who fell off the cliff at Taft Point, also in Yosemite. The filmmakers discuss their responsibility to Honnold and the dangers posed by the mere presence of a camera crew to document such a harrowing climb. They faced many moral questions about how their presence might affect his climb, whether it be distraction or human error. Chin also acknowledged those risks in a recent interview with Fstoppers, as he wondered if a camera crew might increase the dangers of an already insanely risky climb. Climber and filmmaker Cedar Wright, who has worked with both Chin and Honnold, also talked about such dangers with Fstoppers in February. 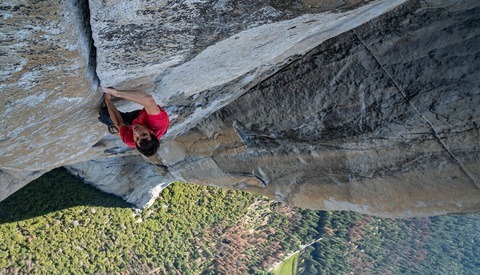 Not only did the cameras increase the risk to Honnold, the filmmakers and crew themselves also faced danger on every one of the 30-plus days they spent shooting on El Capitan and in other locales. Vasarhelyi and Chin take seriously their responsibility to their subject and knew his safety took precedent over the film. Honnold, at some point, was going to attempt to free solo El Capitan, with or without them, so the core of their op-ed is the question of whether the additional risks posed by filming were worth the reward of documenting this historic feat. Have you seen the film? Drop a comment below and let us know if you think it was worth the additional dangers to document this monumental athletic feat. 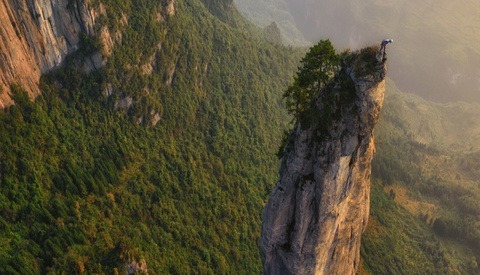 Lead image by Jimmy Chin, courtesy of National Geographic Documentary Films. A Darwin comment as the first post. Excellent out of the box thinking! My answer; choices have consequences. Many people call it the acceptance of risk. But, I wonder what moral decisions do the film makers really face. I've seen a documentary on Honnold before and was astounded by his courage and concentration. He's going to climb regardless of who's around or how much he's dissuaded from climbing. So, not giving him attention, not documenting his climbs won't stop him. I think he's fully aware of the risks and has accepted them. From what Chin told me when I interviewed him a few weeks ago, part of the moral decision is the way that a camera inherently alters the behavior of its subject. The same is as true of wildlife as it is a child as it can be of a world-class climber. Chin and Vasarhelyi had to decide whether they believed Honnold was the type of person who could make all the right decisions based on the risk calculus independent of the presence of cameras, or if he might take a risk he shouldn't in effort to do something cool for the cameras, or because he wants too desperately for the film to end with him on the summit. Ultimately, they decided he's the type of person who won't change the risk calculus because he's being filmed, and they felt comfortable enough that they could document the climb. But if he fell, they'd probably have forever wondered if their presence contributed to his death in some way. Amazing achievement and I’m sure it was a great personal challenge. It does however put others at risk (rescue workers) and leaves families distraught when it all goes wrong. It’s a selfish sport at that level. So mixed feelings. Great achievement-( don’t know how they really do it- some amount of guts) but will lead to other deaths trying to repeat it. Consider that people that race in its many forms are following in the footsteps of those before, some who have died attempting to win races. They know the risk and that death could be around the next corner. The climbing example is no different. This climb was one of the greatest athletic achievements in the history of our species. I am so glad that it was documented so painstakingly and carefully; there's something beautiful about this kind pf peak experience that's hard to describe in words. I felt the same way about Philippe Petit's high wire walk between the Twin Towers in Man on Wire. Just a profound accomplishment.